Rating “Penny Lane” on a scale of 1 to 5 ***** a classic. “Penny Lane” hit #1 in the United States and #2 in Great Britain. Rolling Stone Magazine ranked “Penny Lane” at #32 on their “The Beatles 100 Greatest Songs’ list. 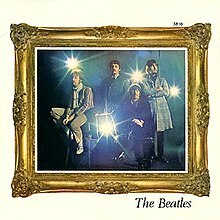 Spignesi and Lewis ranked it at #2 on their “100 Best Beatles Songs’ list. I myself would have it in the top 10. Rolling Stone Magazine ranked “Penny Lane” at #456 on their “500 Greatest Songs Of All Time” list. George Martin believes as I do that “Penny Lane”/”Strawberry Fields Forever” is The Beatles greatest single.